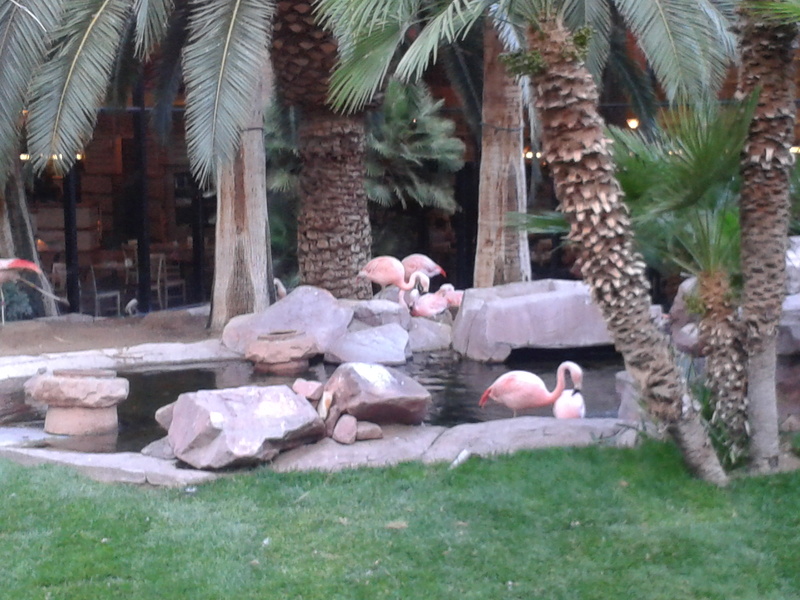 As a means of slowing down my losing streak at the blackjack tables, I like to take time to go sightseeing in Vegas, and take pictures of what catches my eye. 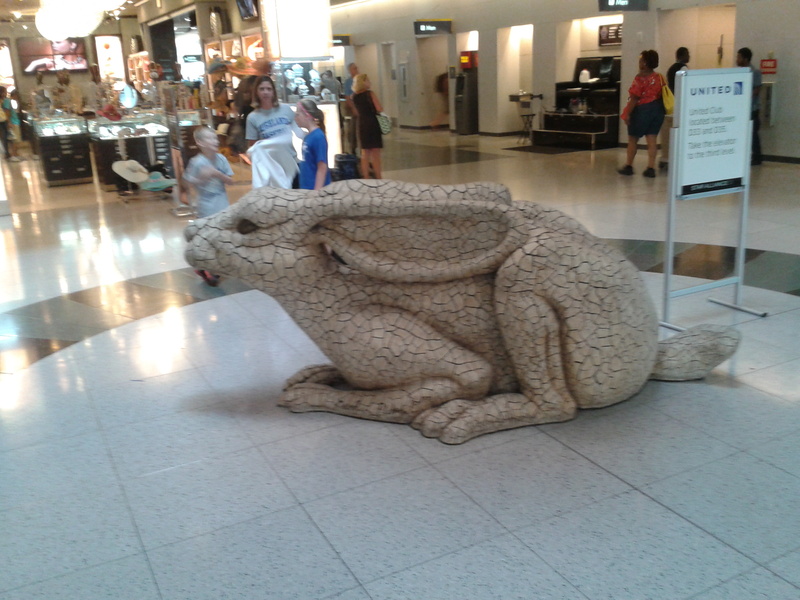 You can click on the pictures below to see a larger version. 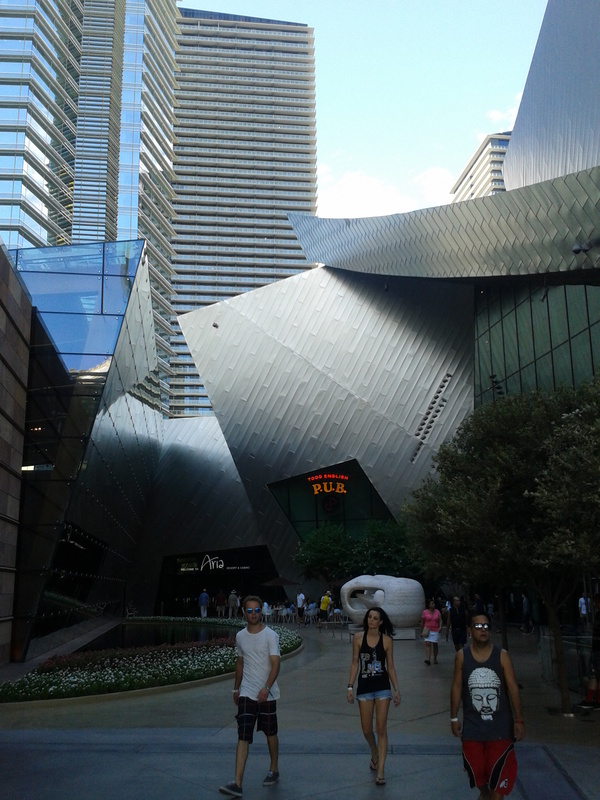 Photos #1 & #2: From its Inception, Vegas has been a city built on dreams. Sometimes, however, you have to wake up from the dream. 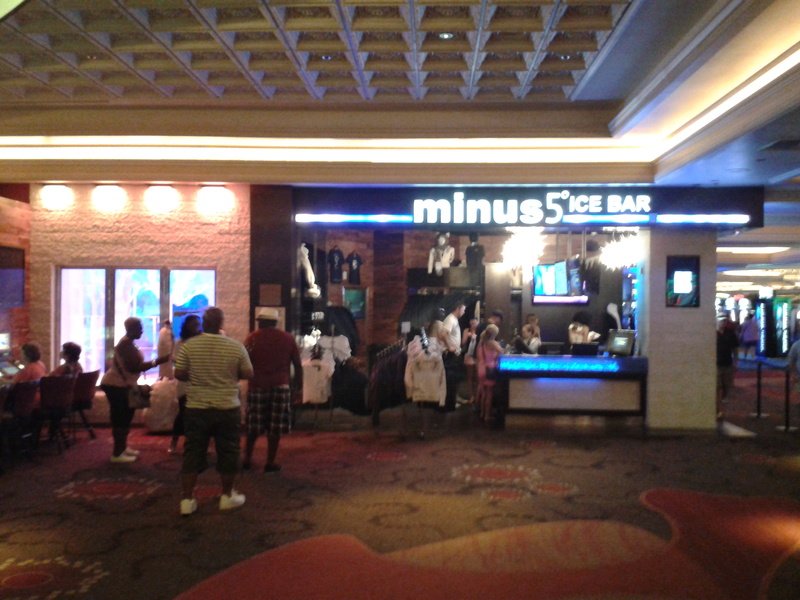 Photo #3: This is the Minus 5 Ice Bar inside the Monte Carlo. The room is kept at 5 degrees below zero, and all of the furniture and glasses are made of solid ice. There is no cover charge, but it will cost you about $25 to rent a parka and gloves to get in. I did not go inside. I don’t drink, and I suspect their hot chocolate is not very good. 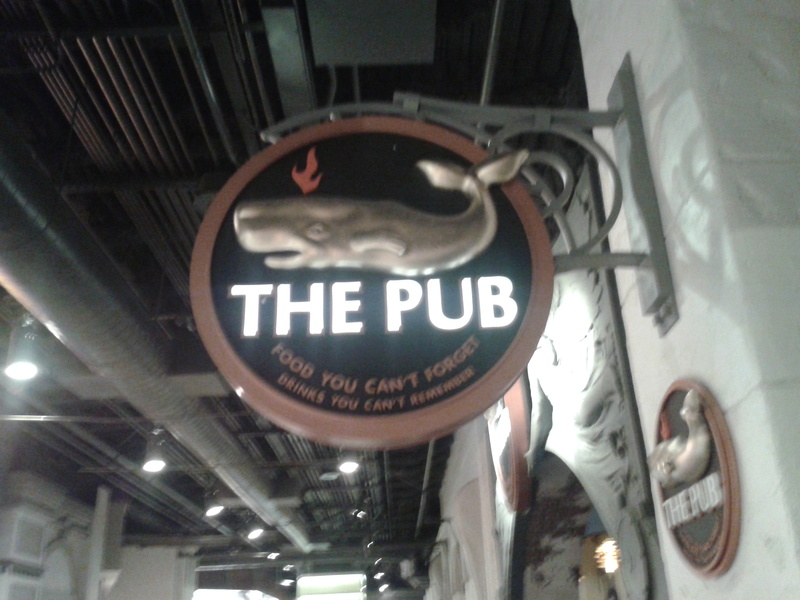 Photo #4: The sign for The Pub, another bar in another casino. The name comes from the Latin publius, which means “fire-breathing whale”. I also enjoyed the slogan: “Food you can’t forget — drinks you can’t remember”. The Pub uses only the finest spring water from the river Lethe. Photo #5: T-1000 Terminators hate having their pictures taken. 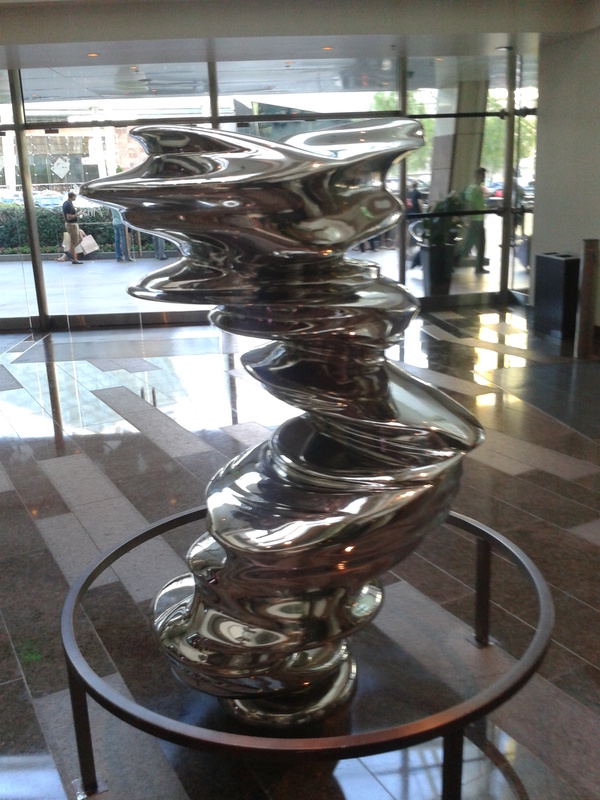 Photo #6: A T-1000 Terminator moonlighting as a giant stiletto pump. 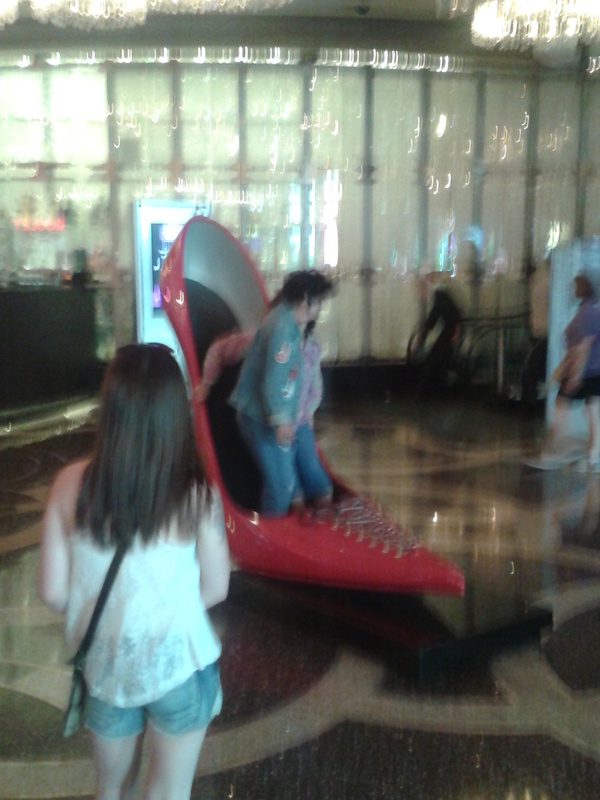 This is why T-1000 Terminators hate having their pictures taken in Vegas. Photos #7 and #8. This is an ion cannon, code-named Concierge, used by the Air Force to shoot down any alien expeditionary force that tries to take back its crashed spaceship and crew from Area 51. It is cleverly disguised as a seafood restaurant. Concierge franchises will soon be open around the world, in case Project Lone Signal is successful in its mission to annoy our interstellar neighbors. 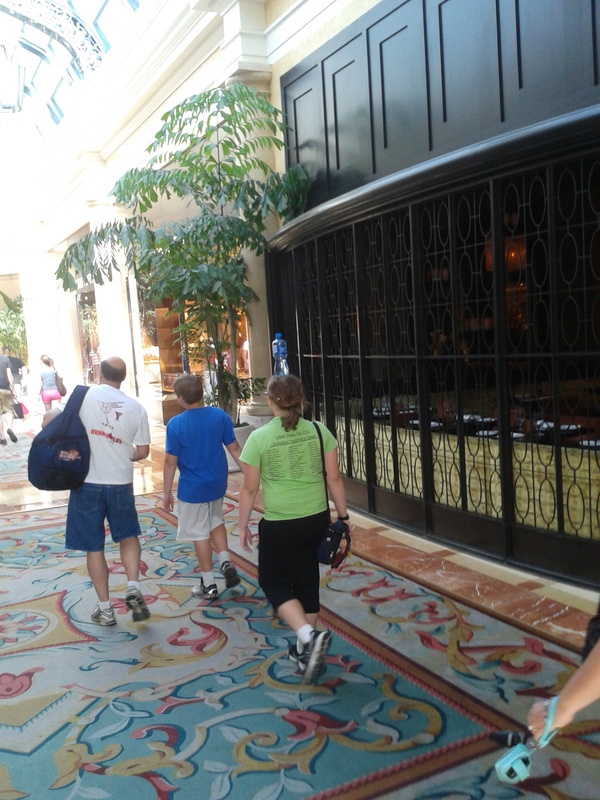 Photo #9: I walked behind this girl for a good two minutes, and that bottle never moved. Maybe she has a coaster-shaped cranium. Or maybe she just doesn’t remember where she put her bottled water. 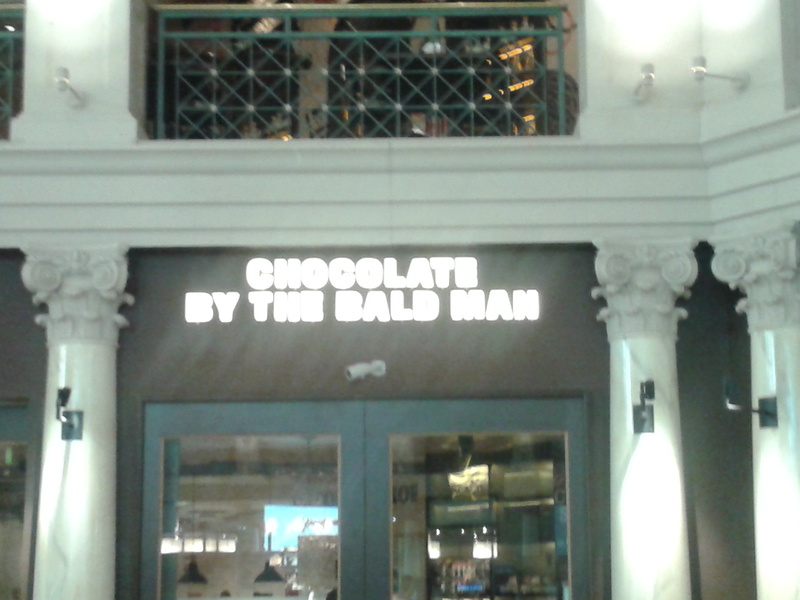 Photo #10: …and for the bald man. Where no one has ever complained about a hair in their cocoa. 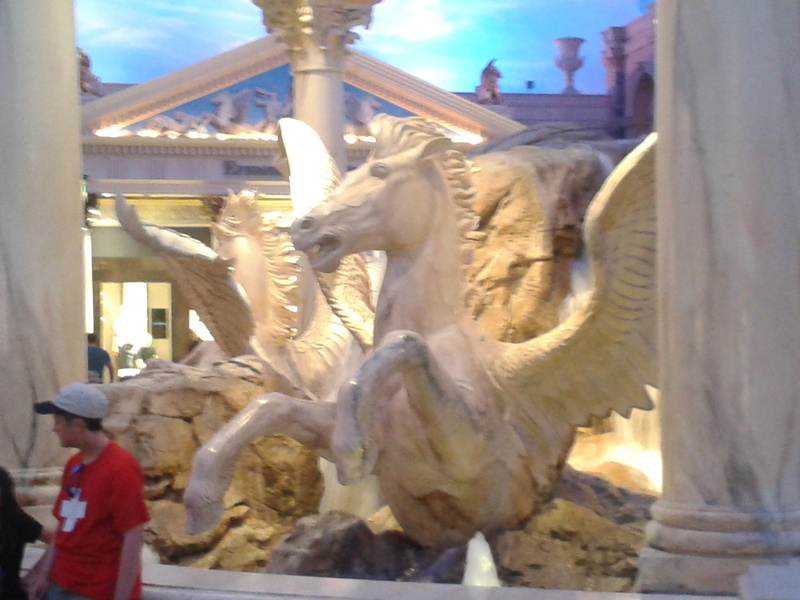 Photo #11: A word of warning: Never let your Pegasus go skinny-dipping in the fountain with the neighborhood Medusas. 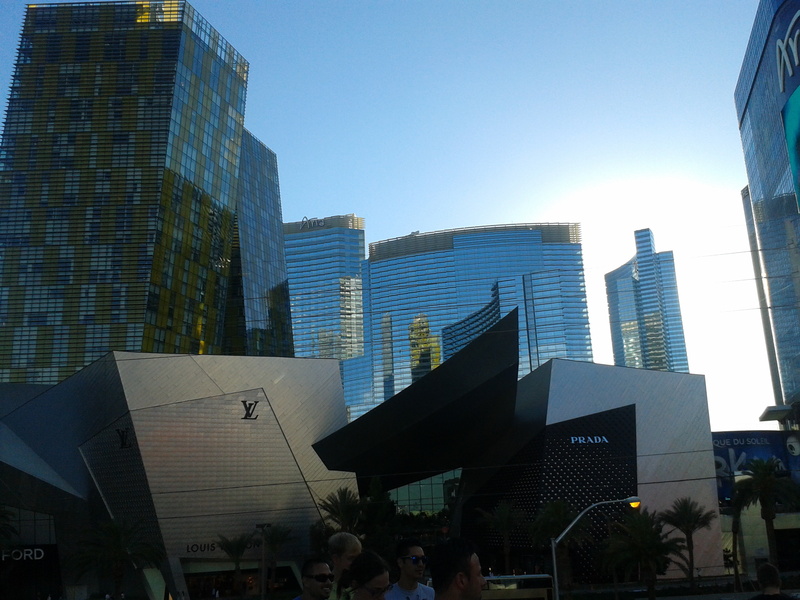 Photo #12: When the zombie apocalypse reaches Las Vegas, I imagine they will be hot blondes in search of brains. Photo #13: As I have stated before, I am a great believer in the power of a good warning. 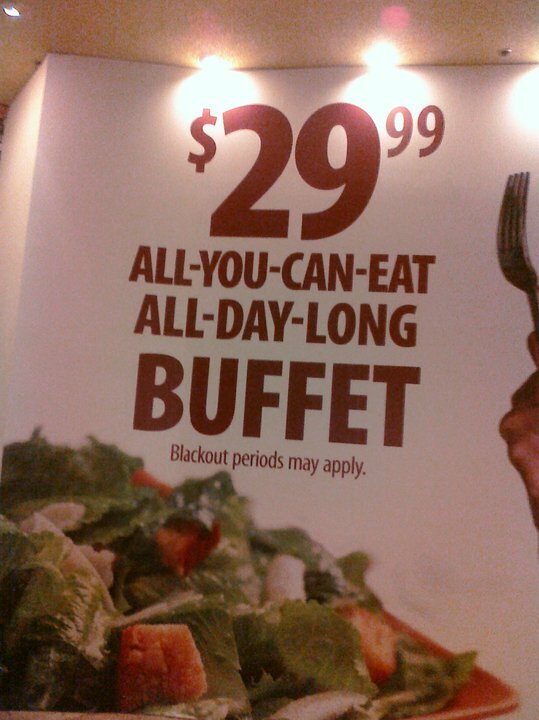 If your all-day buffet carries a risk of causing blackouts, it’s important to state that up front. 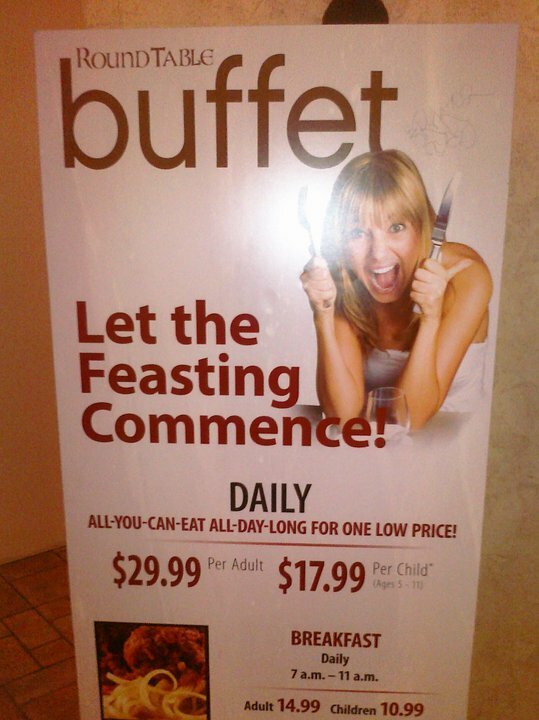 People could be caught unawares, resulting in their brains being eaten by hot blonde zombies. 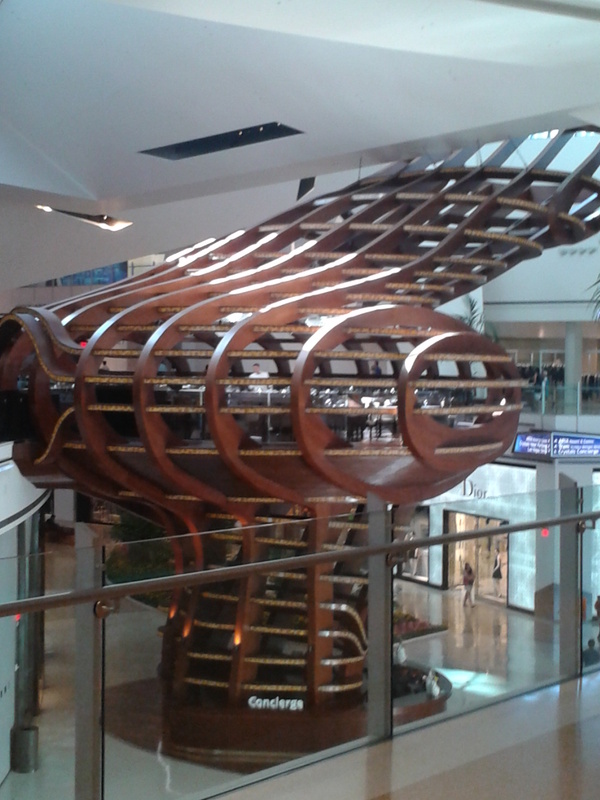 Photo #14: The Lion Habitat at the MGM Grand is no longer there. (This picture is from 2011.) These majestic creatures, who can grow to 8 feet long and 550 pounds, were forced to subsist entirely on a diet of lion habitat trainees. Here you can see one such lion playing with its food. These magnificent cats have been returned to the wild, where they can have a more natural life hunting novice safari guides. 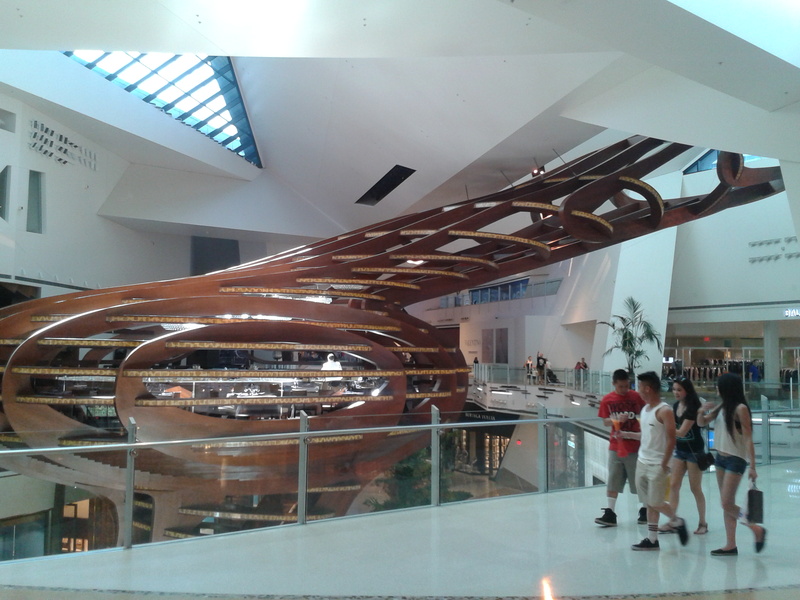 Photo #15:One of the classic Vegas landmarks is the Flaming O Casino and Hotel. I wandered around the place for half an hour, but I saw very view O’s, and none of them were on fire. Apparently, the place has become infested with these giant pink chickens, and the ASPCA made the owners put out the flames as safety hazard. 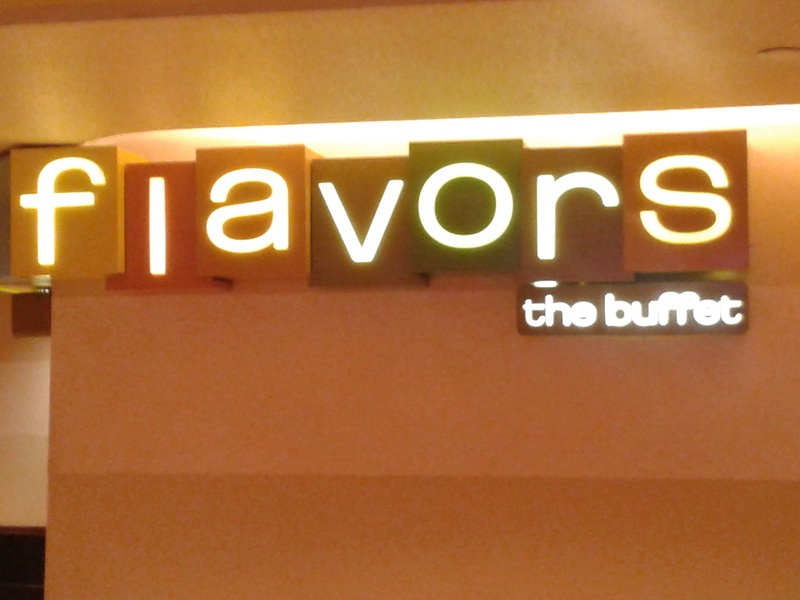 Photo #16: The buffet at Harrah’s. Now with all your favorites: Plain, Original, Regular, Natural, and for those with special dietary needs, Unflavored.